You might be surprised to learn that some people in Los Angeles support President Trump. It’s not just Kanye West-like celebrities who see between the lines of the Democratic Party. West once admitted that some of his celebrity friends are too afraid to come forward with their support of Trump because they’re afraid of being blacklisted. One of them is the renowned street artist, Sabo, who just destroyed prominent Democrat and Congresswoman Maxine Waters on an LA billboard. Halloween clobbered the box office competition over the weekend with a massive $77.5 million opening. It’s the second biggest October opening of all time. The sequel to the 40-year-old “Halloween” classic was a monstrous success. Jamie Lee Curtis reprised her role of Laurie Strode and it was helmed by the duo behind Eastbound & Down, David Gordon Green, and Danny McBride. When a highly anticipated movie like that hits Hollywood, there are advertisements everywhere in Los Angeles. Bus stops and billboards are loaded with upcoming movies like Halloween. And street artist Sabo took advantage of one of “Halloween” billboards. Sabo replaced Michael Myers’ infamous mask with a picture of Congresswoman Maxine Waters. It shows Waters with Myers’ big knife. Sabo is right about the incivility towards Republicans. 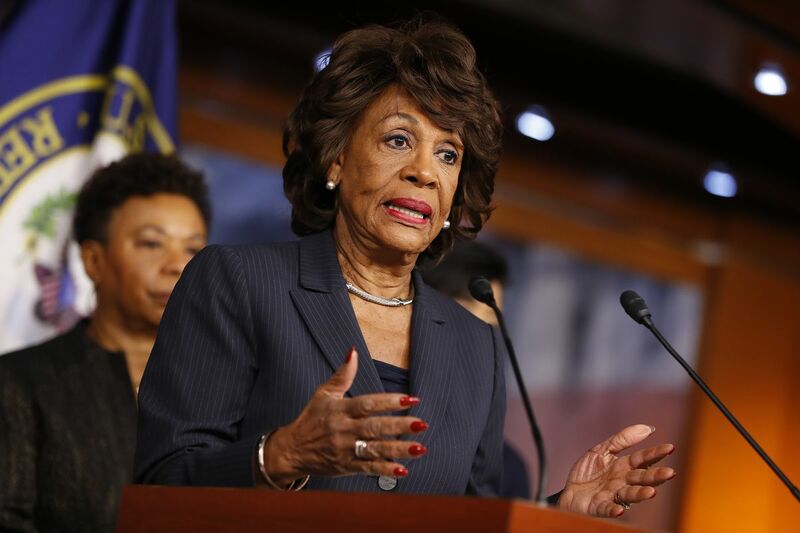 Waters has incited violence against the right on many different occasions. Republicans deal with that on a regular basis nowadays. Earlier this year, White House Press Secretary Sarah Huckabee Sanders was kicked out of a DC area restaurant because liberals didn’t want to serve her. Sen. Ted Cruz was forced to leave a restaurant with his wife after irate leftists screamed at him until he left. During Brett Kavanaugh’s Senate Judiciary hearings, liberals also attacked Senators Orrin Hatch and Jeff Flake. The mob mentality of the left is disgraceful. So when Sabo calls Democrats“uncivil” it’s almost an understatement. They want to destroy Republicans in Congress. Sabo’s become a legend amongst the right too. The infamous artist took aim at Asia Argento. He did that because she allegedly slept with a 17-year-old model. And she was the face of the Me Too Movement at that time. Then he changed her story that he raped her. However, there is a picture of the two of them lying in bed together. That photo tells a different story. So Sabo staged pictures of Argento that showed her middle finger with a “She too” hashtag over her eyes. He also blasted country music legend Willie Nelson for supporting Texas Democrat Beto O’Rourke. Of course, liberals are outraged over Sabo’s acts. Doesn’t it seem like they can dish it out but they can’t take it? Trump echoed this same sentiment recently. Liberals suffer from Trump Derangement Syndrome. They ooze with anger because of Trump. Do you think Sabo’s billboard is accurate?